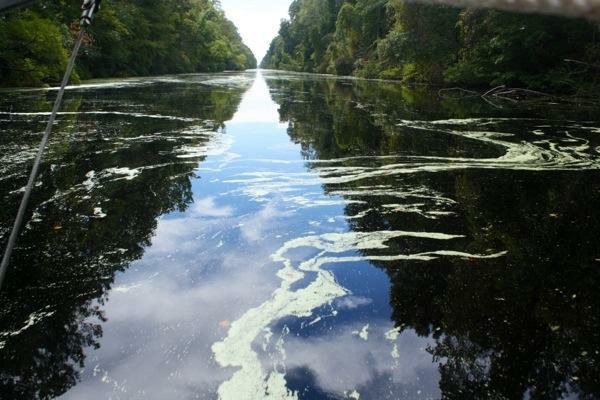 The lock master, Robert, at the Deep Creek Lock forewarned us, “It’s duckweed season.” What? Robert continued to describe this teeny, tiny plant that is presently blooming, “…by the billions!” He cautioned us to keep an eye on our thermostat as we motored and if the temperature rose to drop the hook mid-canal and clean out the raw water strainer (a.k.a. fish trap). We weren’t quite sure what to expect although Robert’s description of the plants carpeting the canal painted a pretty good picture in our minds. Rode Trip puttered along blazing a trail through what seemed to be pond scum. A bit of internet researching provided a good science lesson for us about duckweed. 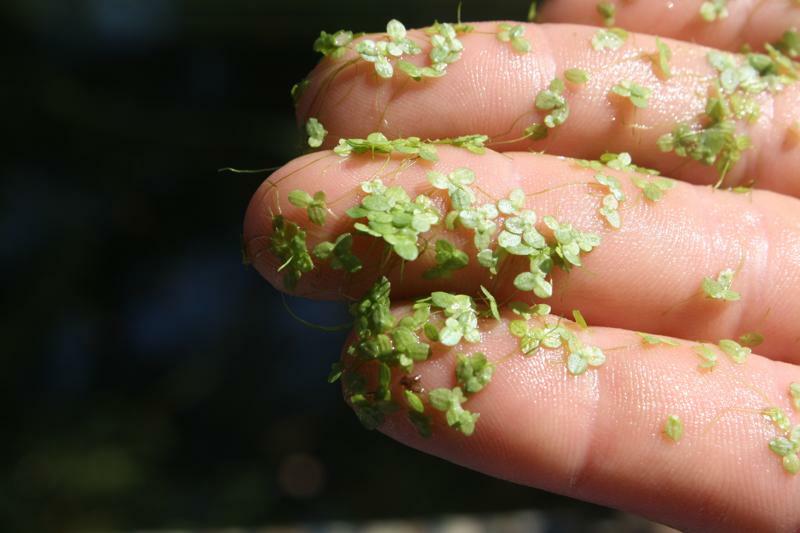 Duckweed (lemna minor) is one of the smallest flowering plants in the world; no bigger than 10 millimeters. The plants do not have stems or leaves but they do have oval-shaped fronds from which a single root extends. 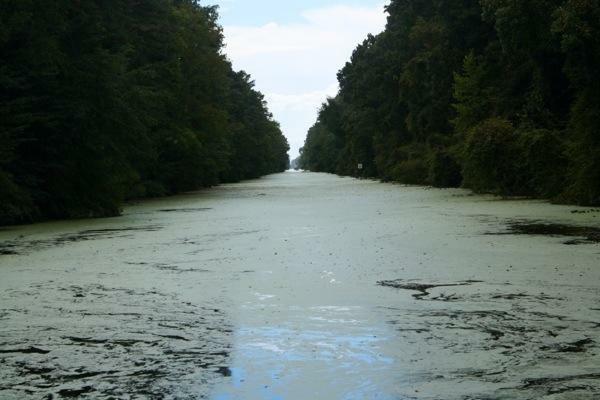 Duckweed grows in colonies atop undisturbed water; ponds, lakes, marshes, dismal canals, etc. It spreads rapidly. 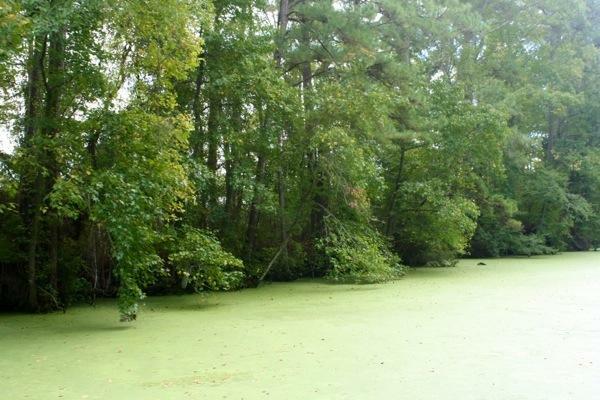 Duckweed provides a food source for birds, fish, and especially ducks. 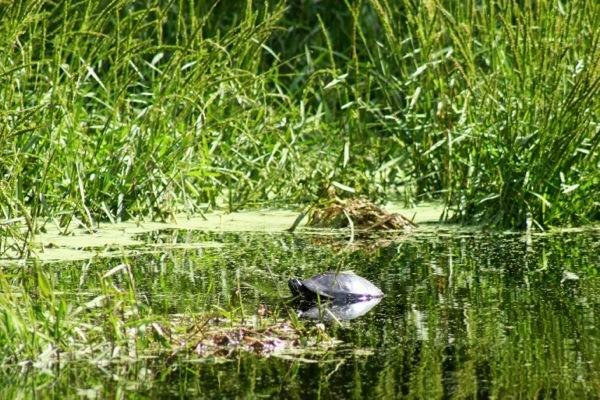 Duckweed also provides shelter for many aquatic animals and insects. Colonies of duckweed spin fabulous patterns atop the water. When Robert said carpet, he sure wasn’t kidding. Rode Trip plowed though and blazed a small trail behind. 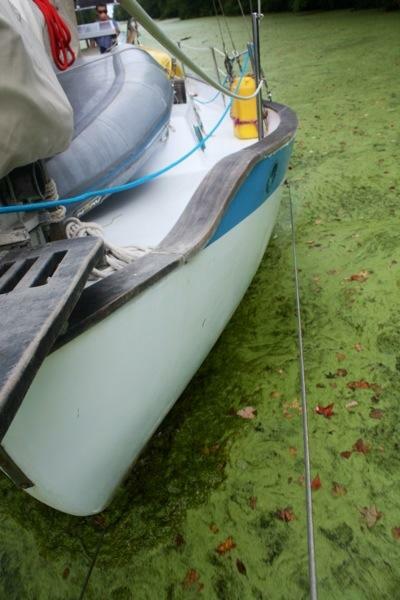 We did keep an eye on the thermostat but with the amount of provisions we had recently loaded onto the boat, Brian was confident that our raw water intake was now well below the duckweed line. 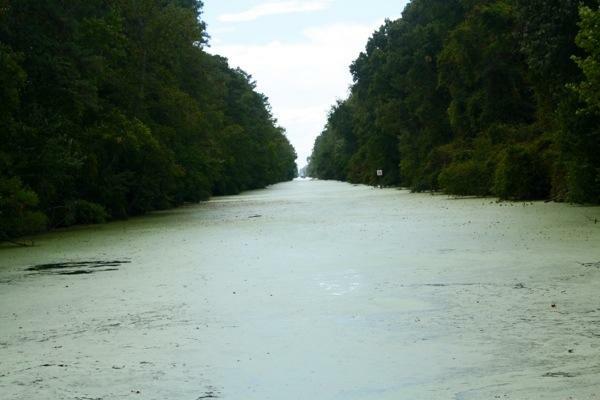 The duckweed did not slow us down on our way to stop number two on the Dismal Swamp Tour. 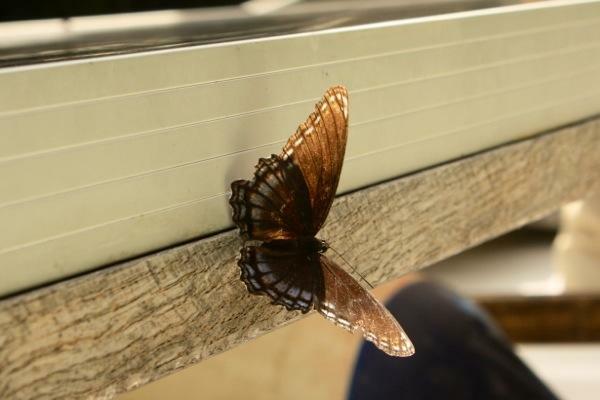 We even picked up a hitch-hiker along the way. 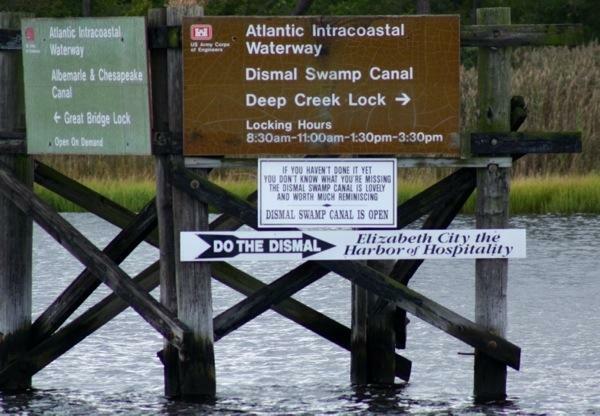 If you haven’t done it yet you don’t know what you’re missing the Dismal Swamp Canal is lovely and worth much reminiscing. It’s true, we didn’t know what we were missing! 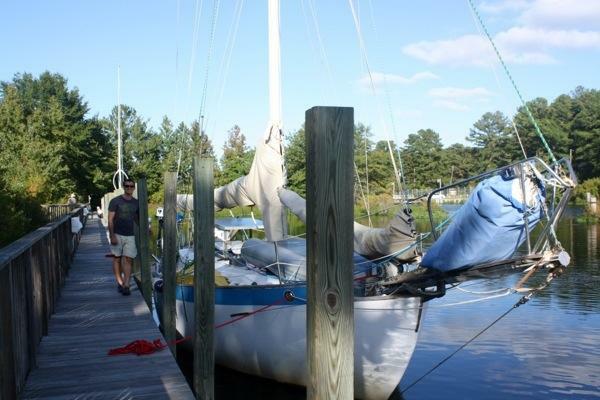 Last year, during the month of November, Rode Trip breezed through the Dismal Swamp section of the Intracoastal Waterway in one day. It was cold, we were on a mission. This time through we are stopping to smell the swamp grass and although this sounds hypocritical coming from ocean cruisers, “Wow! 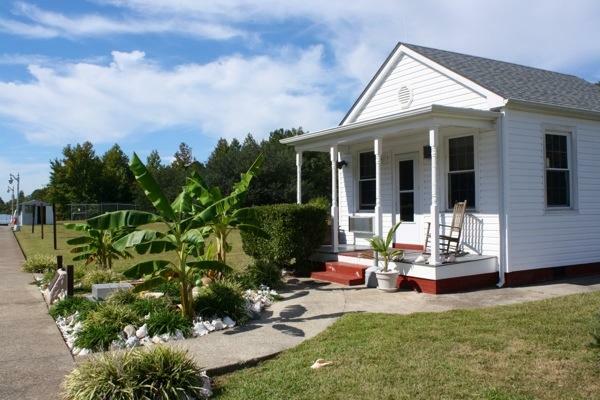 This ditch has much to offer.” The Dismal Swamp Canal is the oldest operating artificial waterway in the United States; it was the original Intracoastal Waterway route. 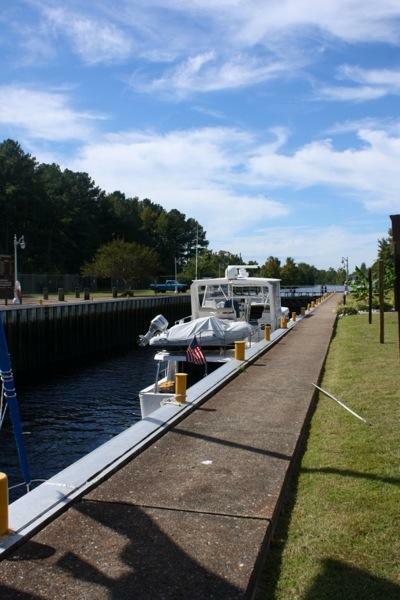 The Dismal Swamp Canal traverses 22 statue miles/20 nautical miles inland through Virginia and North Carolina. 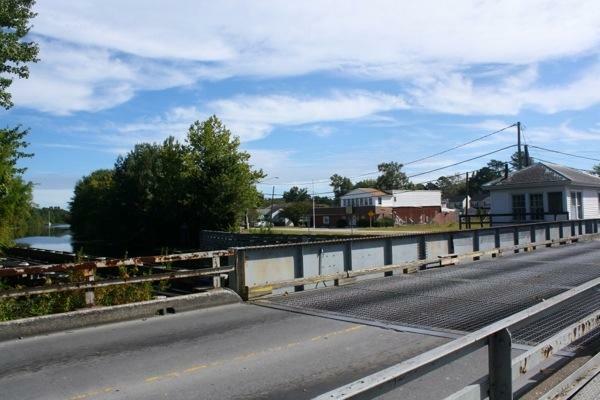 Now registered as a National Landmark, the canal opened for operation in 1805 after 12-years of construction. Upon opening, its shallow draft enabled only flat boats and log rafts to traverse by being manually towed or poled through. Presently the canal maintains a depth of six feet. Throughout its many years of operation, design flaws have resulted in difficulty maintaining the canal and several changes in ownership. 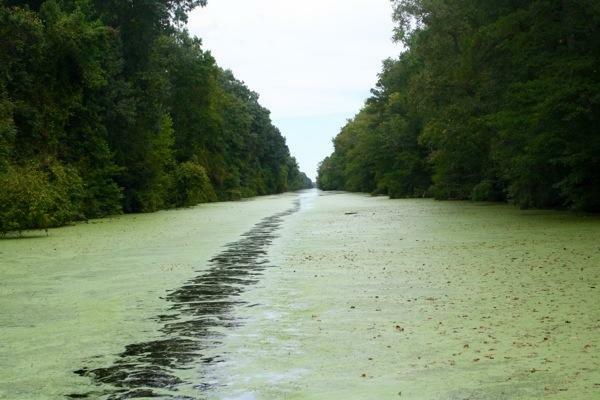 The federal government purchased the Dismal Swamp Canal in 1929 for $500,000 and today the Army Corps of Engineers continues to maintain the canal. Why so dismal? 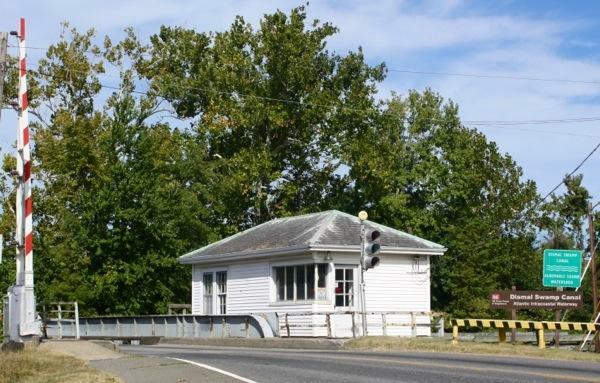 Colonel William Byrd II of Virginia is said to be responsible for for adding the dim description to the canal’s name after having surveyed the land and finding the location repulsive. 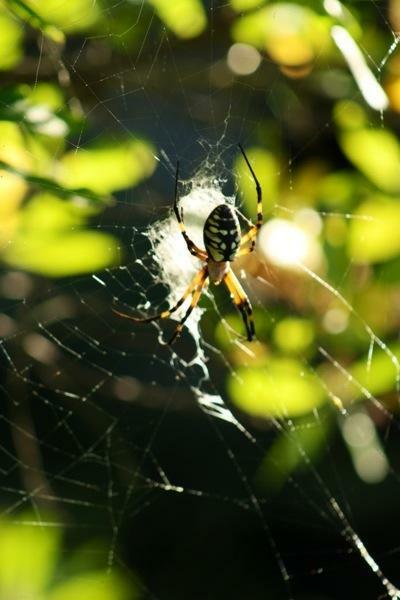 The canal and the surrounding swamplands have an extensive and fascinating history. You can share in our learning by reading more here . 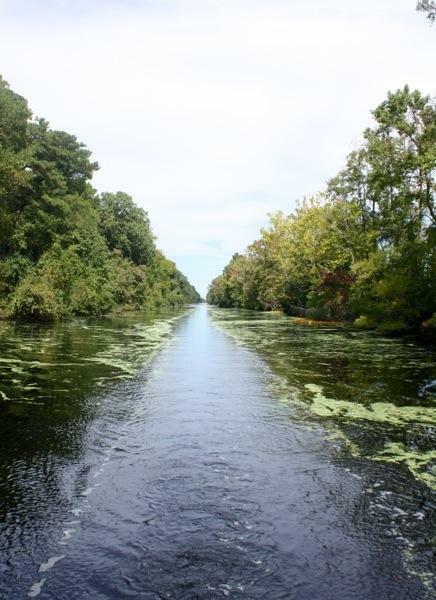 We began our historical boating tour of the Dismal Swamp Canal by making a sharp turn to starboard, exiting the Elizabeth River and entering Deep Creek. 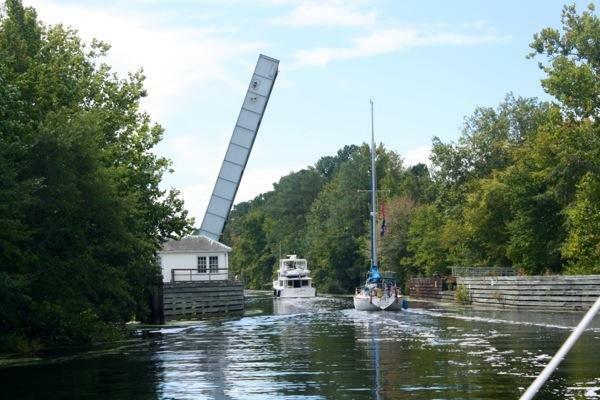 Here we carefully motored down the center of a narrow, winding creek as we approached the first of two lock-drawbridge combinations on the canal. 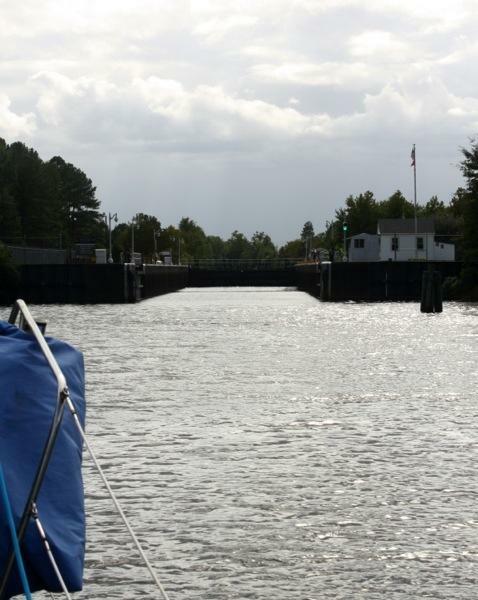 Upon approach to the Deep Creek Lock, we hailed the lock master on VHF 13 and received clear, concise directions for entering the lock. 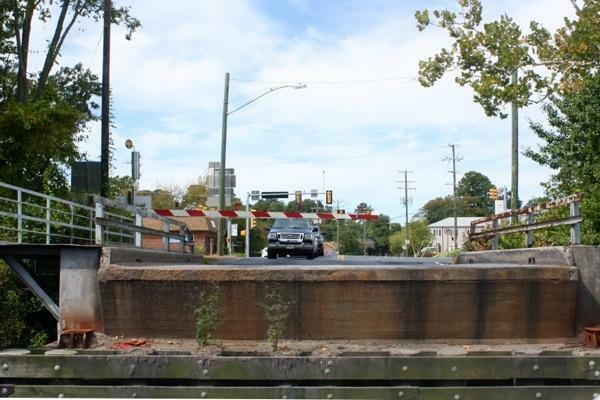 (The locks run 365 days/year, four openings daily; drawbridges are unmanned and open in conjunction with the lock schedule.) Here we go! “Good afternoon!” bellowed Robert. He is the lock master for the Deep Creek Lock and after 18 years remains the ‘new guy’ among canal employees. Robert dropped down a boat hook to collect our stern and bow lines. 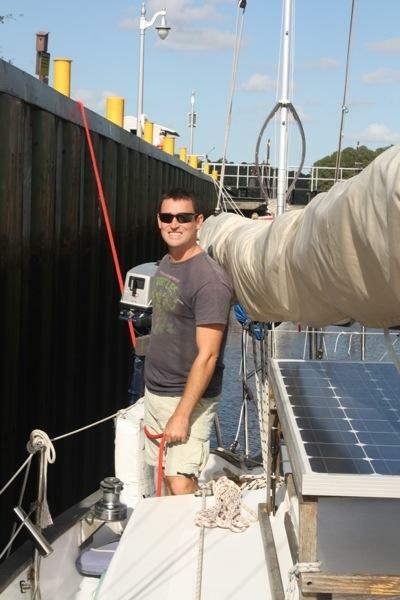 Then he made ready the one other boat in the lock while we held fast ready to tend our lines. We’d thought our end of September arrival at the canal was great timing as the seasons go, but as we got to chatting with Robert while the water level rose he informed us, “You’re 35 years early…” He proceeded to share that most people passing through his lock are retired. Shocker! Robert is not only good humored and incredibly kind but he contains a wealth of knowledge about the Dismal Swamp, Deep Creek, and the surrounding area. We so enjoyed his company and fun facts that we decided to spend the night at the Deep Creek dock (totally free) and join Robert the following morning for coffee at the lock. Ahhhh…boy did it feel good after spending seven days aboard to step off the boat onto a dock! And although it felt as though we were in a creek in the middle of nowhere, just up the street less than one mile was a Food Lion grocery store. This tour was off to a good start! On the way to the Food Lion we walked across the drawbridge that we’d motor under the following day. Oh bummer! 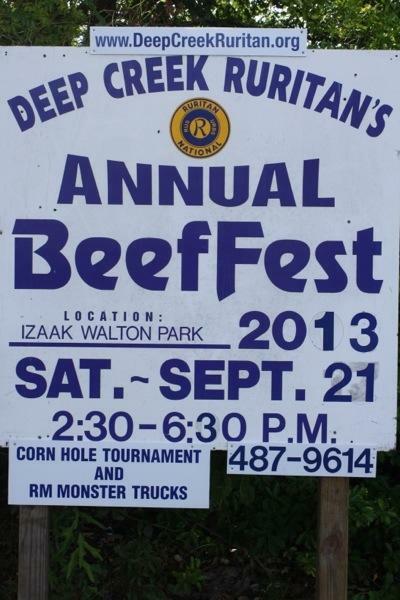 We traveled all this way and just missed it!? …and then made our way on foot to the lock to start our day listening to Robert’s stories with a fresh cup of coffee in hand. What a treat! Thanks so much for your hospitality, Robert! Afterward we spent some time with our dock-mates, Lilly and Harley, and their dachshund, Hammy. We never miss a good opportunity to get acquainted and swap information. Best of luck to this eager couple with their upcoming adventures! Topside view of Deep Creek Lock. That afternoon we cast-off from the dock at Deep Creek. Once through the drawbridge we had only nine miles to travel before our next stop on the tour.